ST. PAUL, Minn. (AP) — Lawmakers returned Tuesday to the Minnesota Capitol with a lengthy agenda and some doubt that they’d get to it all, as an ongoing battle over the new Republican lieutenant governor and her seat in the state Senate threatens to upend the legislative session. 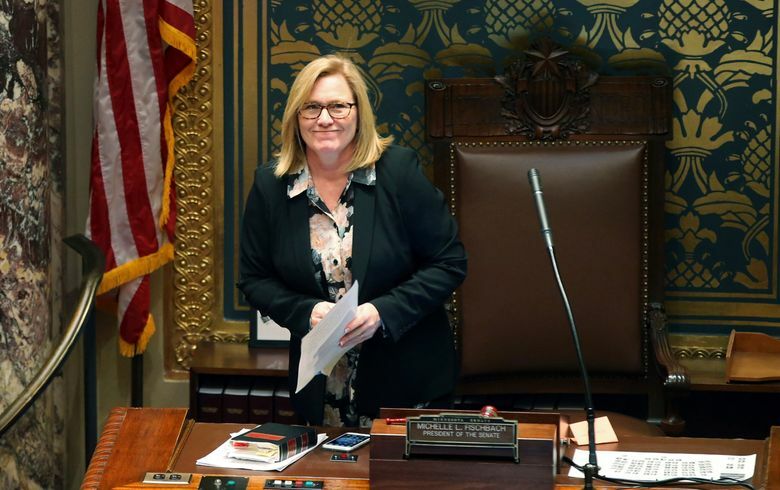 Senate President Michelle Fischbach gaveled in the start of the legislative session at noon. 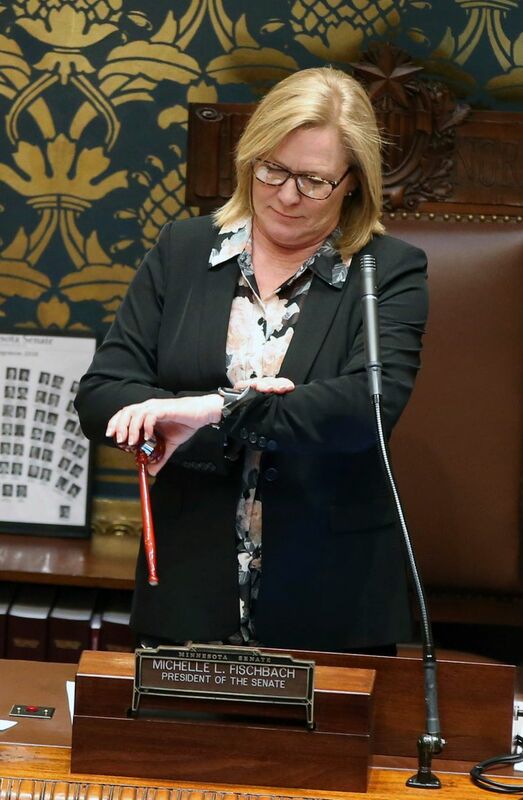 Fischbach ascended to become lieutenant governor earlier this year but is trying to keep her seat in the Legislature — and protect Republicans’ one-seat majority in the chamber — making the normally low-key state Senate president a central figure in the Legislature’s political machinations. A Ramsey County judge has already dismissed a constituent’s lawsuit challenging Fischbach’s dual roles, but top Senate Democrats have indicated they’ll appeal or file another lawsuit. As lawmakers aim to fund hundreds of millions of dollars in public construction and rework Minnesota’s tax code to match new federal tax cuts, top Republicans worry the legal challenge could bring the Legislature to a halt for weeks or longer if it forces Fischbach out and leaves the Senate deadlocked. “If you’re suddenly 33-33, it becomes much more difficult to navigate through and pass bills,” GOP Senate Majority Leader Paul Gazelka said. It has injected the 2018 session with an extra dose of politics in an already heated election year. Fischbach ascended to become Democratic Gov. Mark Dayton’s second-in-command earlier this year, after Dayton appointed Tina Smith to the U.S. Senate. If she’s forced out of the state Senate, it would trigger a special election in her heavily Republican district that would determine control of the chamber. 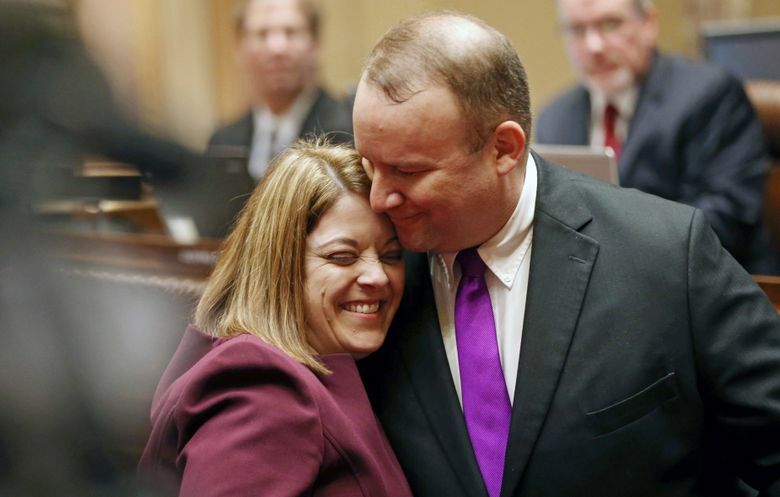 Fischbach maintained Tuesday there’s precedent for her serving both roles, citing a history of at least seven prior lieutenant governors who remained in the state Senate. Democrats argue it’s a clear violation of the constitution, which bans public officials from holding two offices at once. But it’s unclear when a new challenge may arise. Senate Democrats didn’t try to remove her from the Senate through procedural means on opening day. Senate Minority Leader Tom Bakk said he doubted he would appeal the previous court’s decision or file a new lawsuit this week, adding that Democrats want to ensure they’re ready for a possible special election. Republicans have dismissed the idea that Democrats could win in the central Minnesota district against Fischbach, who has vowed she’ll run for her seat and resign as lieutenant governor if she wins. “It is all about politics,” Gazelka said. 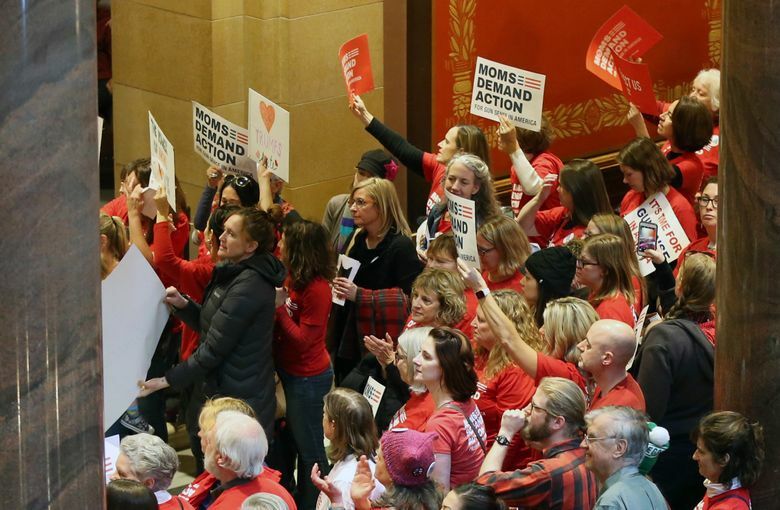 There’s less pressure on the Legislature’s workload than last year, when lawmakers were required to pass a two-year budget. The first order of business is approving operating budgets for the House and Senate — funding that Dayton vetoed last year in a spat with top Republicans but that he’s promised to sign. Top state tax officials stressed the importance Tuesday of conforming Minnesota’s tax code with the recently passed federal tax breaks, warning that no action would spell a logistical nightmare for tax filers and preparers and pit some Minnesotans with tax increases. The Department of Revenue said it could trigger costly and time-consuming corrections — even audits — if filers have to navigate both systems. “That’s what we don’t want to happen,” said Rep. Greg Davids, the Republican chairman of the House Taxes committee. Gun control advocates also converged on the Capitol Tuesday, lining the hallways by the hundreds and chanting “Save our kids!” in the wake of the school shooting in Florida last week that killed 17 students and teachers. 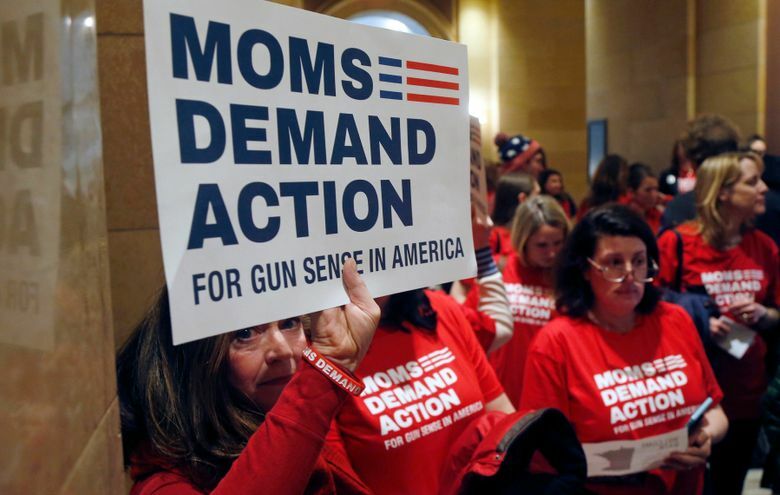 The protesters from Moms Demand Action and Indivisible Minnesota Local called on lawmakers to expand background checks on firearm sales, but they’re unlikely to get much traction with the Republican-controlled Legislature. Any work won’t begin in earnest until at least March, after lawmakers get an update on the state’s finances. A December estimate projected a small budget deficit for 2018, but Gov. Mark Dayton and legislative leaders expected that to turn into a sizable surplus.